The California State Franchise Tax Board, the taxing authority in California, uses a variety of forms to collect taxes. The standard income tax form in California is the Form 540. The Franchise Tax Board recommends that you first complete and file your federal income tax return before filling out the Form 540. Much of the information calculated on your federal tax return can be easily imported into the Form 540. Given the fact that California Form 540 utilizes much of the same information as IRS Form 1040, you can quickly transfer information from your federal return to this state-level document. This will help expedite the process of completing this document. Download Form 540 from the California State Franchise Tax Board website. The download link is available on the main landing page on the left sidebar. Enter your name, address, social security number and date of birth. Include your spouse's information as well, if you are married. Indicate any different last names you used to file taxes in the previous tax year. If you prefer to fill out a paper copy, visit your local Franchise Tax Board Field Office. A listing of field offices is available on the Franchise Tax Board website. Fill in the circle to indicate your filing status, such as single, married and filing jointly, married and filing separately, head of household or qualified widow (widower). Indicate whether you can be claimed by someone else as a dependent. Calculate your personal tax exemptions on lines 7 through 11. Enter your exemption total on line 11. Enter your state wages on line 12. Enter your federal adjusted gross income on line 13. Indicate any California adjustments on lines 14 and 16. Subtract your federal adjusted gross income by your adjustments on line 14 and enter it on line 15. 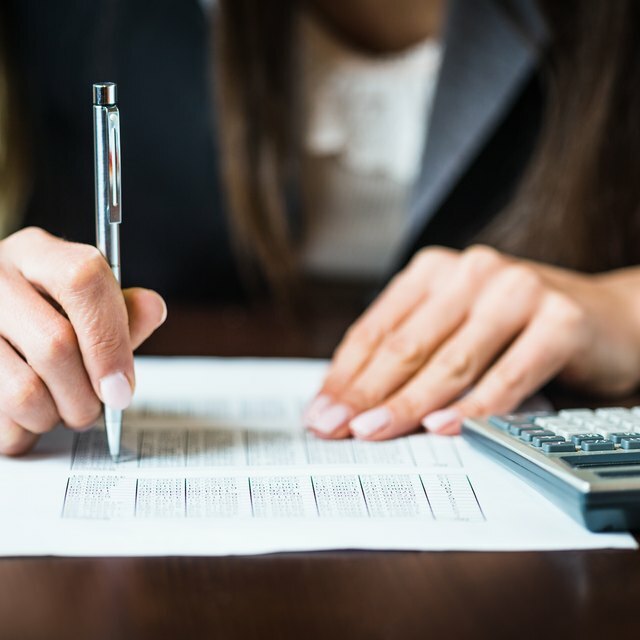 See the Form 540 instructions for guidance on the various adjustments which are the equivalent of federal tax credits and deductions. Add line 15 to line 16, which is your California addition adjustments, and enter the total on line 17, which is your California adjusted gross income. Input the larger of your itemized deductions or your California standard deduction on line 18. Subtract line 18 from your California adjusted gross income to get your taxable income. Enter the taxable income on line 19. Use the California Tax Table to determine your tax, if your taxable income is less than $100,000. If it is greater, you must use the Tax Rate Schedules. Enter your tax on line 31. Enter any exemption credits on line 32. See the 540 Instructions regarding available credits. Subtract your exemption credits from your tax and indicate the result on line 35. Enter any further credits on lines 41 through 48. If you claim certain deductions and your federal adjusted gross income is more than $187,203, you may be subject to the alternative minimum tax. See the Form 540 Instructions. Use lines 71-74 to disclose the amount of tax withheld to date. The difference between the tax withheld or already paid to the state and the amount due is either the amount of tax you owe or the amount of refund you are owed. Enter your tax due on line 111 and any refund due on line 115. Indicate your routing number and bank account number for direct deposit of your refund. Sign and date your tax return. If you owe taxes, send your payment to the the Franchise Tax Board. This article does not constitute tax advice.